Yesterday, the First Minister, Carwyn Jones AM, made a statement in the Senedd relating to Tata Steel following his visit to Mumbai at the end of May. 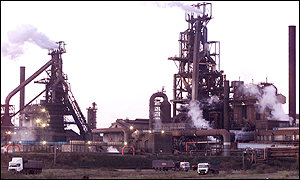 Since 19th March, the future of the steel industry in Port Talbot and South Wales has had a cloud over it, as the process of selling Tata Steel UK is being played out. To date, no decision has been made on a preferred buyer or even whether Tata has reversed its decision to sell, as has been strongly rumoured within the workforce. Aberavon’s AM, David Rees, supported by his Labour colleagues, Jeremy Miles, Mike Hedges, Julie James, Rebecca Evans and Lee Waters, the latter of whom represents Llanelli and the Trostre works, sought clarification from the First Minister on the future support available to any new buyer or, as rumours have indicated, Tata itself, if it decides to continue operating steel making in the UK. At a time when steel workers are losing their jobs following January’s announcement, they highlighted that it is critical that the workforce, who have shown their dedication and commitment during this turbulent period, are provided with assurances and confidence that any future operator of steel making in Wales has a sustainable long-term vision for the industry.